How armored cars are made. The Mexican drug wars have resulted in more than 15,000 deaths this decade along with the rise of ISIS and the Boko Haram kidnappings. Celebrities, athletes, and other individuals who have specific threats have come in droves to protect themselves. 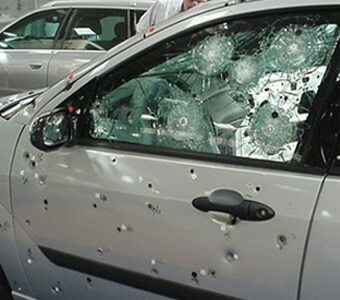 To meet this growing demand, companies like International Armoring Corporation are building these “bulletproof cars”. 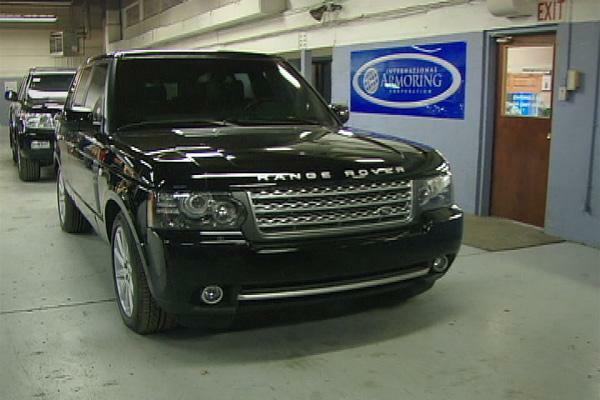 The company estimates that the number of personal armored vehicles sold into Nigeria to be 3,000 in 2013. After a preliminary consultation process, which estimates the level of protection needed by the client, the vehicle’s interior is stripped to accommodate the various changes necessary for armoring a car. According to the company, the goal of armoring is to “create a cocoon of protection by enveloping the passenger cabin, which includes modifications on the glass, floors, pillar posts, roof, doors, fuel tank, tires, batteries and more. IAC uses products developed specifically for the purpose of armoring vehicles, and to protect the body of the car from bullets and explosions. Several materials are used. Armormax is a composite fiber material, developed by IAC, that boasts both a light weight (60% lighter than traditional ballistic materials) and is 10 times stronger than ballistic steel, according to the company. Referred to as “Lightweight Transparent Armor,” the windows of these armored vehicles are made from glass and polycarbonate substrates that are laminated with inter layers. The glass is designed to absorb energy from various ballistic threats and exhibits no visible difference from normal factory windows. The glass is design ed to absorb the energy from the impact of a projectile, through a process known as “controlled de-lamination,” where the inner layers are meant to prevent any objects from breaching the window. The glass is also routinely tinted in order to hide the passengers from outside view and help avoid targeted attacks. According to IAC, “There are 5 to 6 internationally accepted standards which define levels of protection.” The various types of protection standards are based upon the types of weapons that the armor can defend against. The lightest level of resistance offered by IAC is level 3, which adds between 380-450 pounds to the weight of the vehicle’s body. The heaviest armor, which can protect against armor-piercing rounds, can add between 1,650-2,250 pounds to the car’s weight. Even the welding process is taken into account when armoring a new car. The company uses “Weld Free” technology that mounts ballistic steel onto vehicles without compromising the ballistic integrity of the vehicle. Armored refitting also includes “3rd hinge door support,” which modifies the structure of door hinges in order to accomodate the additional weight added by the armoring process. Aside from the windows and general exterior, armoring has several other modifications that may not be immediately apparent. 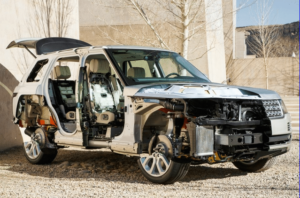 The car’s suspension is modified to meet the needs of the new armor and “dual ram” bumpers are installed so the vehicle is able to push its way out of dangerous situations without causing damage to the car. They are also equipped with “run flat” tires, allowing the car to drive for 60-100 miles at 60 miles-per-hour, even with blown out tires. The price for an armored car is generally starts at around $60,000 more than the sticker price of a non-armored car. The company offers several already-outfitted vehicles and estimates that it has produced over 8,000 armored cars in its history. Cars that have been armored range from Hummers and Range Rovers to utility vans and Toyota Camrys. 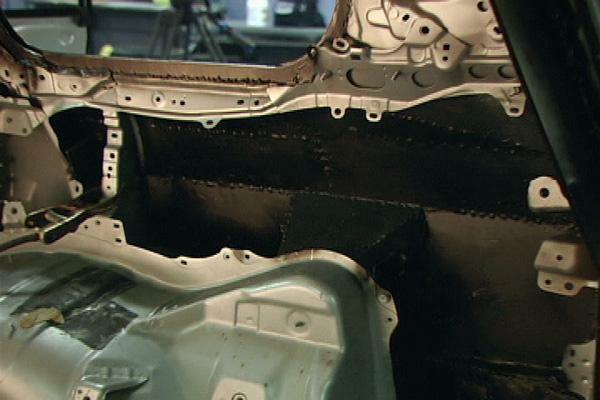 The approximate time to outfit a car with armor is between 40 and 60 working days, according to the company.